While there are a number of excellent works that focus on Asian American, Asian Canadian, and Asian British literature, most tend to deal exclusively with ethnicity; only occasionally, though inevitably, do they cross over into a direct exploration of topics and themes deriving from the immigrant experience and the subsequent quest for "home." Ideas of Home, however, focuses on that specific theme in recent literature; it explores the many challenges to Asian immigrants' sense of self and their conceptions of home. As they emerge from the discussions presented in this collection, the experiences of leaving home and arriving in a new place—and the descriptions of them in literature—are ancient ones that demand self-redefinition and resolution before the "new places" can be sincerely embraced as "home." 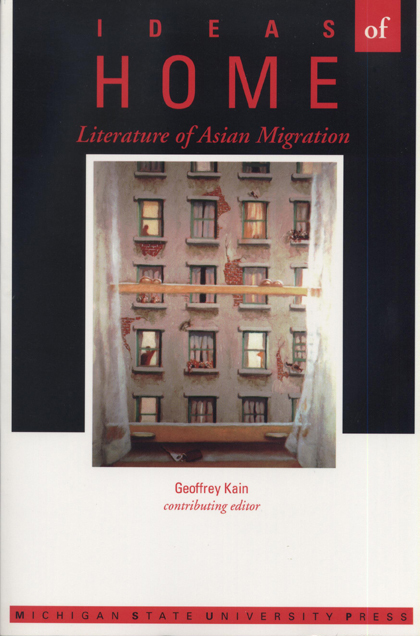 Works by important Asian writers, including Amitav Ghosh, Maxine Hong-Kingston, Cynthia Kadohata, Kalama Markandaya, Robinton Mistry, Bharati Muklherjee, Raja Rao, Salman Rushdie, and Amy Tan are highlighted in critical discussions of the treatment of immigrants in literature, and the complex psychological adaptation they must face when confronting the central concepts of self and home. Geoffrey Kain Associate Chair of Humanities at Embry-Riddle Aeronautical University.